Yammer and Slack are two extremely effective tools for communicating between teammates. At the surface, they seem quite similar. However, they behave differently and these differences make them distinct. The most effective way of understanding the difference between Yammer and Slack is by looking at their taglines: Yammer is “the enterprise social network”, and Slack is “a messaging app for teams”. 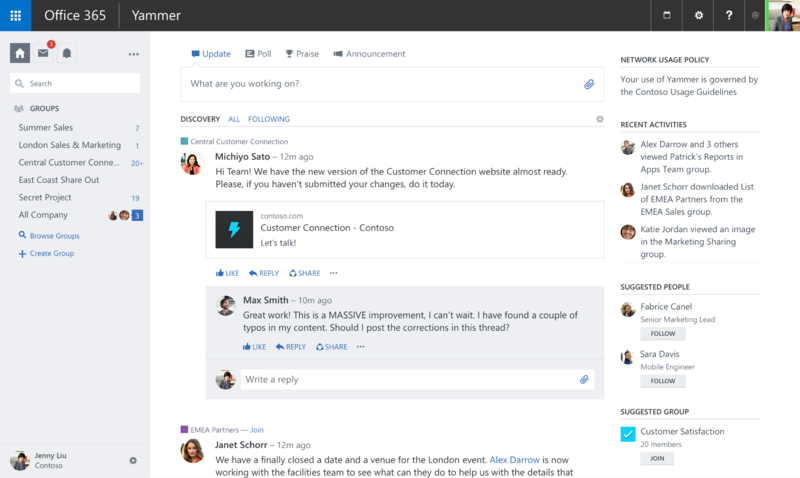 Yammer is like Facebook for your company. Conversations are started by creating a post, which lands in a feed, which can be commented on and liked, etc. These posts stack up on top of one another and you scroll through them just like you would on Facebook. Yammer is great for sharing unessential – but potentially powerful – information across a group of people that might find it useful or interesting. Yammer is a tool that completely removes the need for company-wide emails when someone has a non-urgent note, wedding pictures, a fundraising request, work announcement, observation, tip, etc. By putting all this information in Yammer, employees can log in and consume this information at their leisure. 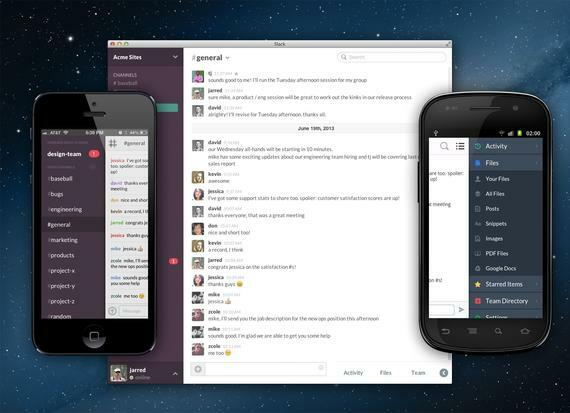 Slack is like Group IM on steroids. Messages and comments stack up directly on top of one another; unlike Yammer where posts are created that have a comment section. You’ll find that messages get pushed out of sight fairly quickly, so Slack users are often always logged in, the same way they are always attentive to their email. Slack is great for instant and quick messaging between team members; which Yammer doesn’t handle so well (Microsoft would recommend Skype). It’s possible to use Slack for non-essential information, but I’ve found that creating new streams of communication spontaneously doesn’t necessarily work so well because of the overlapping nature of instant messaging. To help you choose between Yammer and Slack, consider the type of information being shared. If it is information that might require a quick answer, consider Slack. If it is information that is passive in nature, go with Yammer. Any company could potentially make effective use of both platforms, even simultaneously.